For your brand or website to prosper, its necessary that the content you provide reaches the right eye. Promoting your content is the very first step in social media marketing and that is quite a tedious task to accomplish without the help of getting it shared on different social media forums online as most of the consumers nowadays tend to get much more exposure to your content via this mean. Getting your content shared is an art to be learned and used properly. First and foremost, keep in mind what channels to look for when you want an extended audience pool. For this, to this day, Facebook is crowned to be the principal site that gets the most shares by the users. Linkedin, Pinterest, Twitter, none come near in comparison with Facebook when it comes to getting the content shared online. Another thing to keep in mind is the type of content that gets the audience most engaged. Infographics come at the top when it comes to the type of content that is shared the most. Videos are getting more and more popular by the day in these terms, particularly in Facebook, as in 2017 85% of the most shared posts were videos. Also, they are the most retweeted form as well, the videos. Emoticons play a huge role when it comes to the language of content that you put out. Depicting different emotions, they make the posts more familiar and seemingly more human for the viewers. The urge to share is not something man made. It's an innate psychological mechanism that compels us to share stuff online. 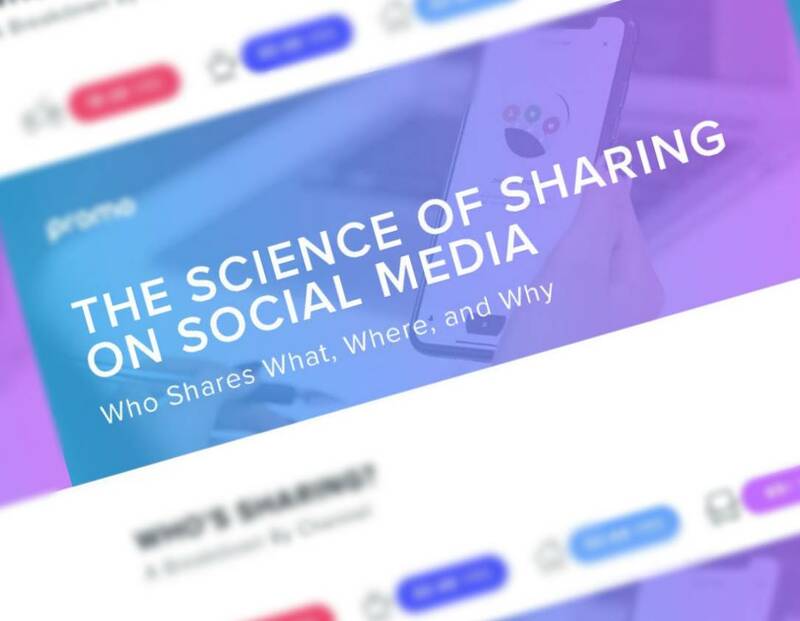 About 62% of the people avoid sharing something that would show them in a bad light among their peers.